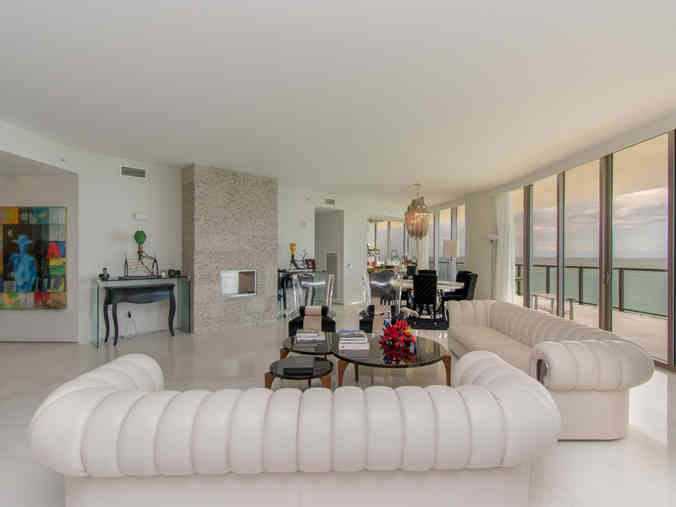 Situated almost directly on the pristine white sand beach in Bal Harbour, the St Regis Residence is an ideal place to call home for those who demand the very finest. The property blends the comforts of a luxury condominium with the amenities and services of the finest hotel for a unique combination that you’re sure to adore. Built in 2012, the unit being offered is St Regis Residence #1100C. This residence includes three bedrooms, and three and a half baths. The living area measures a stunning 3,153 square feet. In addition, there is a spacious terrace that offers room for lounging in the sun while soaking up the views of the azure waters below. Note that the terrace encompasses a full 1,304 square feet in its own right. The unit’s interior is soothing and bright, with white marble floors, white walls, and high ceilings. Chic, modern light fixtures, sweeping curves and wide-open space dominate the unit. Floor-to-ceiling windows offer a direct view of the area’s incredible beauty, as well as letting in plenty of that incredible Florida sunshine. Note that this property offers views over the Atlantic, as well as across the city. The St Regis Residence is nothing short of stunning, and offers an incomparable combination of luxury and finesse. Owners of the #1100C unit will have access to a range of onsite amenities and features designed to deliver pampered enjoyment. These include private swimming pools, as well as the property’s delightful oceanfront cabanas. The fitness center on property is an ideal place to keep in shape, or you can indulge your senses in the Remede Spa on property. Of course, the famous Bal Harbour Shoppes are within close proximity, offering a wealth of shopping and dining opportunities. For those who demand the ultimate resort-like experience without having to leave when vacation is over, this is the ideal place to call home. Note that this property was awarded the Forbes 5-star award for 2018, as well as the AAA 5-diamond award for 2018. 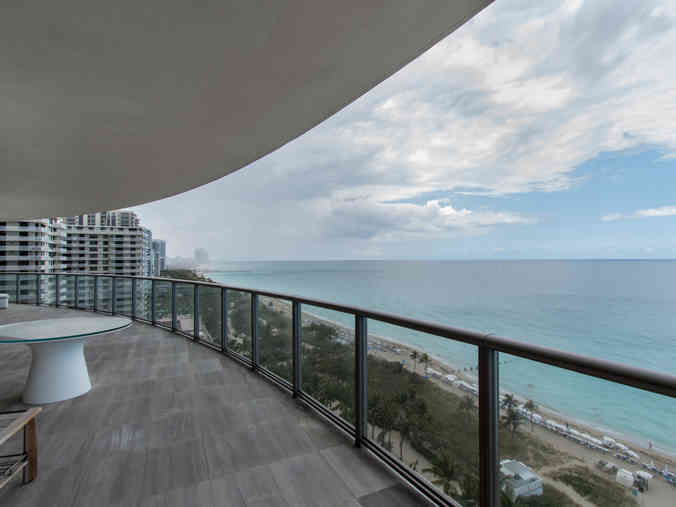 Bal Harbour enjoys a privileged location just north of Miami proper. A quick drive south gives you access to all that the area has to offer, including the splendor of South Beach, the many exciting events in downtown Miami, and a great deal more. A drive northward puts you right in Fort Lauderdale, with even more to see and do.